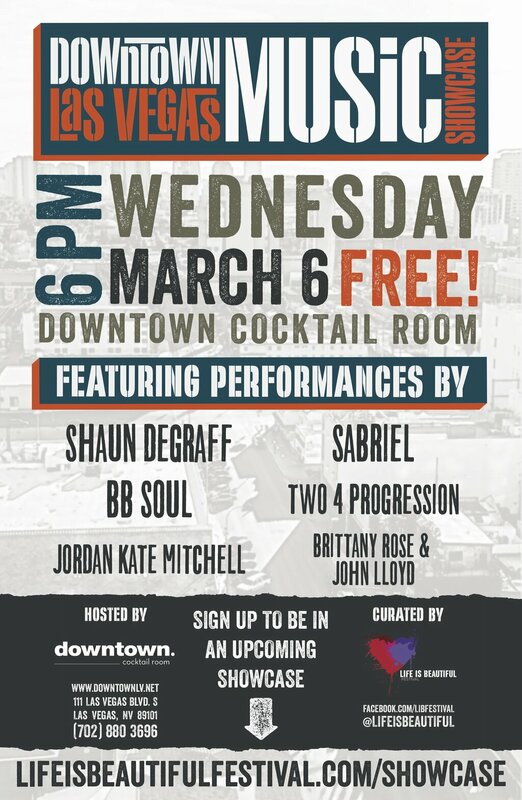 Downtown Las Vegas Music Showcase TONIGHT at DCR | Do You Hear The Music? Hope you can join me this evening for the second installment of the Downtown Las Vegas Music Showcase curated by Life Is Beautiful. The festivities will be getting going at 6 p.m. at Downtown Cocktail Room with sounds by Carlos Sanchez and DJ 88 and we have a sweet lineup of Las Vegas talent you must see!